On the upper-right of the screen, you will find the date navigation bar. 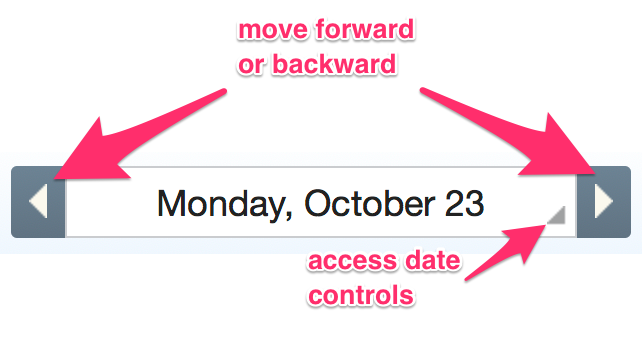 You will use these selectors to choose the date range for activity reports. 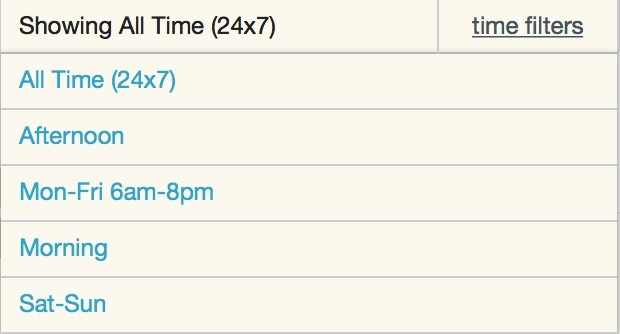 You can also select a time filter to screen results by a particular time frame. The arrow buttons will move you forward or backward by the designated unit of time (day, week, month, or if you are a Premium subscriber, year). By default, you see the daily view. To access the date controls, click on the triangle as indicated above, and you'll see all the available options. 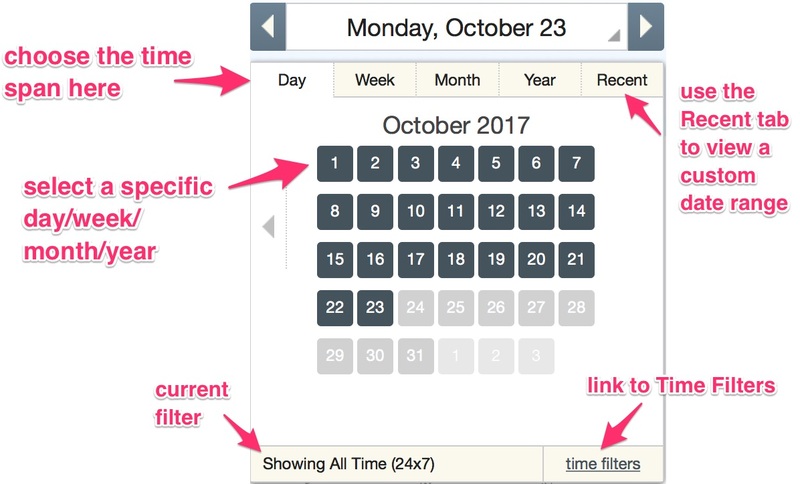 The Time Filters link will show you your available filters. Click on the desired filter name to activate. You can create a new filter on the Advanced Filters page.